Step up your fashion game this weekend by wearing this top from Stop. 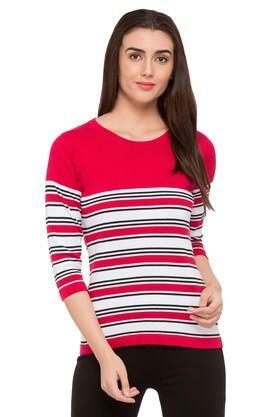 This top will ensure a perfect fit, courtesy to its good quality fabric. 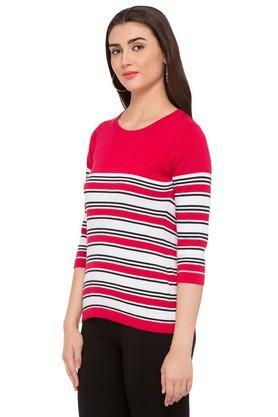 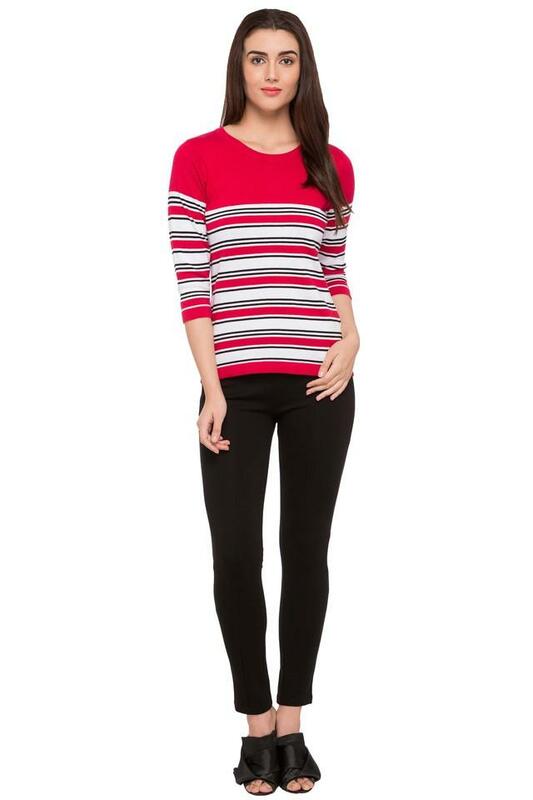 Featuring a round neck, three quarter sleeves and striped pattern, this top possesses a stunning finesse. 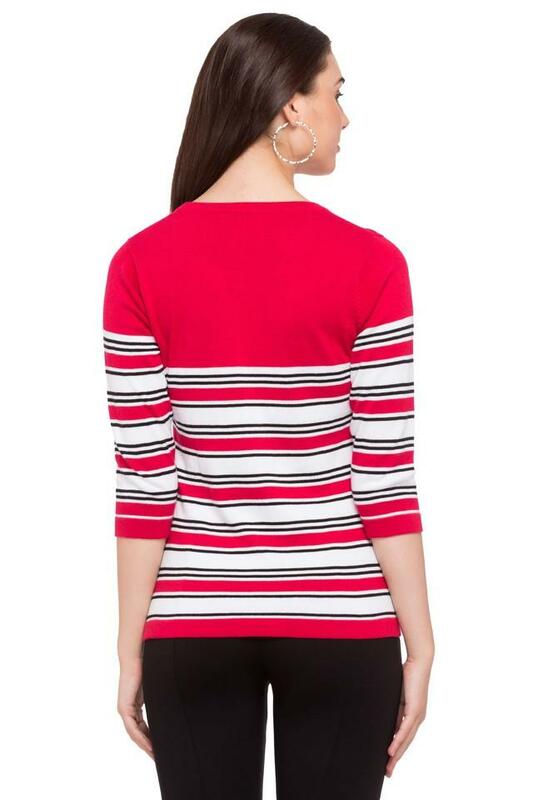 Opt for casual simplicity with this top. Wear this top with a pair of denim shorts and ballerinas for a trendy appeal.